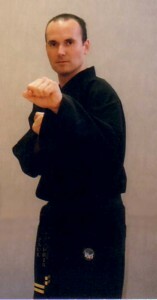 Mr Harris, 5th Degree Black Belt in Tae Kwon-do, joined the TAGB in 1995. He trains under the instruction of Grand Master Mike Dew 9th Degree Black Belt, Vice Chairman of the TAGB. Mr Harris is a qualified and certified Tae Kwon-do instructor which includes training in Health and Safety and Child Protection. He holds an enhanced Criminal Records Bureau (CRB) and a First Aid Certificate. Mr Harris is a qualified Tae Kwon-do Competition Official, holding certificates as both an Umpire and Referee. Mr Harris has been involved in teaching Tae Kwon-do and self defence awareness in schools, as part of the school’s curriculum. 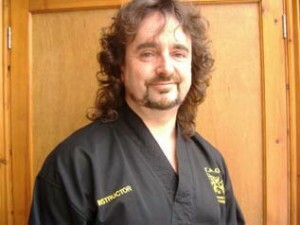 Mr Bell, 3rd degree black belt in TKD, has been training since 1997. Mr Bell is a qualified competition official holding qualifications as an umpire and referee. Like Mr Harris all instructors and assistant instructors must hold an enhanced CRB certificate and first aid certificate. 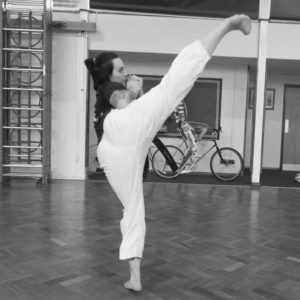 Keir joined North Devon Taekwondo in 2006 but paused as a blue belt in 2008 to become a dad, many years later Keir returned and continued to practice taekwondo under the tuition of Mr Harris. Keir successfully passed his Black belt 1st Dan grading in April 2016 and soon after also trained to become a competition umpire, and later became an Assistant Instructor and Tigers Coach. He’s looking to further his knowledge of Taekwondo with the TAGB.